Smoking not only increases your risk of developing lung cancer and heart disease; it also causes you to store fat around your middle. 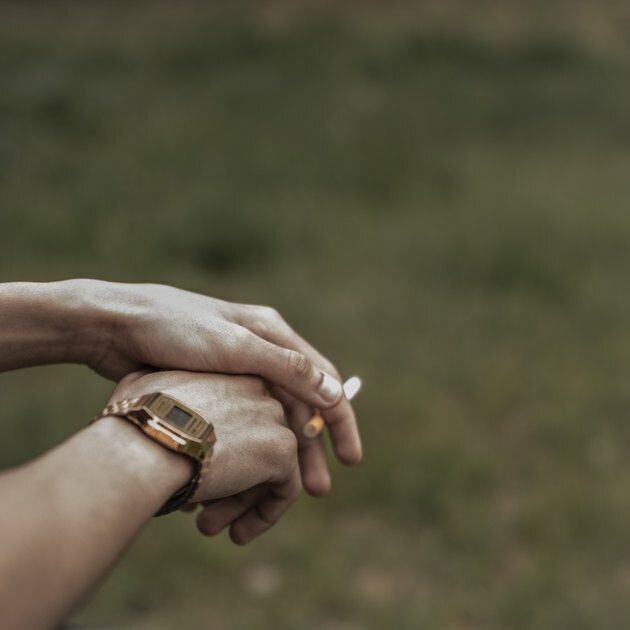 Despite its ability to squelch hunger pains, a study published in a 2012 issue of "PLoS One" found that smokers had more belly fat than their non-smoking counterparts. You may not gain weight as a result of smoking, but any fat you do have tends to distribute itself around your abdomen, which further increases your risk of disease. Belly fat surrounds the internal organs and excretes inflammatory chemicals. You may fear that quitting smoking will cause you to gain weight, but it will help you get healthier. A study in the March 2011 issue of "Obesity" showed that quitting smoking reduced the chance of developing metabolic syndrome, a condition characterized by excess belly fat as well as abnormal blood sugar and blood pressure levels, by between 35 and 55 percent. The researchers attributed the increased risk of metabolic syndrome partly to the higher visceral, or belly, fat accumulation found in smokers.